Tonight, on June 21, 2018, my team is hosting our first-ever benefit concert and cocktail hour for The Longest Day. Tonight, we are making connections, not only with other people who have experienced the effects of Alzheimer’s disease, but connections to music and my Nana. We are here to help find a cure so that no one ever has to live through what she and I did. Growing up, my Nana and I were inseparable, from my days as an infant to all of my school functions. Days off from school were spent at the mall shopping for her favorite designer purse brand and eating pizza at the food court – just Nana and me. All of the other time we spent together was at the piano. As a well-practiced piano teacher, Nana required all of her children and grandchildren to learn the instrument, but I was the only one that shared her same talent and love of the art form. Nana and I had weekly piano lessons, annual recitals and countless competitions and performances that bonded us closer and closer through each stroke of a key. Nana and Nanita. Then Nana was diagnosed with Alzheimer’s. She couldn’t calculate the discount of a purse she wanted to buy. She couldn’t figure out how to swipe a credit card. Worst of all, she couldn’t remember her childhood lullaby on the piano – or how to read music anymore. Nana slowly started to become an unfamiliar person in a familiar body. I didn’t know how to handle it … or how to help her through it. That’s when I discovered The Longest Day. The Longest Day allows me the same opportunity as any other group fundraising event—raising awareness and funds to further research—but with a very personal twist. My family and friends chose the month of May as the lead-up to The Longest Day and to honor Nana as the matron of our family. Each year #baNANApianorama hosts a piano practice-a-thon event in Miami Lakes, Florida in order to fundraise leading up to June 21. Family, friends, former piano students of Nana’s and guests of the venue gather together to practice piano for the cause; in our first three years, we have raised over $20,000! Little did we know how significant that date would become, as after our first event in 2016, Nana lost her battle to Alzheimer’s on Mother’s Day that year. Today, The Longest Day, we continue our efforts to remember her. As our final event for the 2018 fundraising season, former piano students of my Nana are performing some of her favorite pieces in a formal setting while guests enjoy a photo memorial of Nana. I can’t think of a better way to spend this evening. Although Nana was taken from us way too soon, she is now my guardian angel. She is watching over me and guiding me through every step of life as she always did. Tonight I offer my music and my support to all those enduring challenging times caring for someone with Alzheimer’s disease, grappling with the news of the diagnosis, or grieving someone that he or she has recently lost. We all have something in common: our hope, our love and the care we give our loved ones. We are not alone. Together we can find a cure. About Jessica: Jessica Comellas is making beautiful music in honor of the woman she bonded with through music: her Nana. Click here to visit Jessica’s team page. It has been more than a year since my grandmother was diagnosed with Alzheimer’s disease. This afternoon, my team is embarking on three hours of indoor cycling in her honor, and in honor of those they love. My grandmother is a woman who has been through more than any one person should have to endure in a lifetime. She survived her husband’s death after caring for him during his ten-year battle with cancer; she has survived the deaths of her children and grandchildren. Her trials are truly too numerous for me to list. Her strength CARRIED me to the hardest obstacle I have ever faced, and she was strong for me when I couldn’t be. She was the person who walked me, what seemed like miles, from a hospital waiting room to the critical care unit my father was in when doctors told me that it was time to let him go. She physically and emotionally held me up the entire way. Thinking about it now, I can’t recall if I ever thanked her for that. Today, that is exactly what I’m doing. Thanking her the only way I know how. After having participated in last year’s Walk to End Alzheimer’s, I decided that a great way to raise money would be to host a Spin-A-Thon. As I began to research how to pull this off, I was elated to discover that THERE IS A WHOLE DAY dedicated to this type of event! This is how I discovered The Longest Day … completely by accident. ‘Serendipitous’ is the only word I use to describe it. I was even more determined to make this day happen after I began to speak with people about their interest in participating. I was blown away to hear just how many people were being directly affected by this disease. I am almost certain that EVERY person on my team has a story to tell. Beginning at 1 p.m., we will be spinning through the decades in honor of those we love. We will start with an ‘80s soundtrack for the first hour. Next we move into the ‘90s, finishing strong with today’s top 40. This progression is significant to me – cycling through the decades, spinning to music that elicits childhood memories, first loves and first heartbreaks. I am reminded of a documentary I watched a few years ago called “Alive Inside: A Story of Music and Memory” where social worker Dan Cohen works to advocate the use of music therapy for people living with Alzheimer’s and dementia. Throughout the film, the astounding effect that music can have is clear; it was nothing short of incredible. Today I am using cycling and music to help thank my grandmother for all of those times she carried me. I will still be thanking her long after my name is erased from her memory. Now it’s my turn to carry her. Today we are doing what we love for who we love. Today we remember those we said we would never forget. About Leann: “I am fighting to end Alzheimer’s on The Longest Day because I want to help others from having to live through this disease. After a lifetime of putting together the puzzle of life, Alzheimer’s pulls it apart piece by piece.” Leann Moore is cycling through the decades in honor of her beloved grandmother. Click to here to visit Leann’s team page. This morning, as I prepare for my day in my tent in Northern Scotland, I am thinking about how, for people caring for loved ones living with Alzheimer’s and dementia, every day seems like the longest day. That is why I am doing something I love for someone I love. I’ve lived through it myself – and I want to support all the caregivers and care partners who take this journey together. Today, and for the next 60 days, I will be walking across Scotland. Each day, as I walk approximately 20 miles carrying a 50-pound backpack, I will be remembering the years I spent caring for my mother as we experienced her dementia together. Although I was happy to take on the role of caregiver – and would do it again – it was not easy for either of us. Today, I want others to know that they are not alone. I want people experiencing this disease to take advantage of the support groups and other means of comfort that the Alzheimer’s Association provides, for both the person living with the disease and their family. Every one of us needs that support to carry us through. And The Longest Day affords us the ability to do just that. Today’s hiking goal is 23 miles towards Inverness on the Great Glen Way. My total walk is 650 miles, to be done in three phases. I am about halfway through phase one, which started at Aviemore and ends at Ullapool in about three weeks. Then I move on to the outer and inner Islands and end my walk along Hadrian’s Wall to Wall’s End. This entire journey will be approximately 1,500,000 steps. Later tonight I will take ‘the high road’, where I will have beautiful views of Loch Ness, followed by Loch Oich and the crossing of the Oich Bridge. As I enjoy these vistas, I will stay strong and be ready to continue on tomorrow. Each step will be a step toward the goal of ending Alzheimer’s … for my mom … and for me. About Anne: Anne Burris is hiking approximately 650 miles, translating to over 1,500,000 steps, across the Scottish Highlands in remembrance of her mother, Ada Burris, and to raise awareness about Alzheimer’s disease. Click here to visit Anne’s team page. We spoke with bridge club owner and American Contract Bridge League (ACBL) accredited teacher Silvana Scotto Morici about her involvement in the Alzheimer’s Association event The Longest Day. Read on to learn why bridge players come back year after year to raise funds and awareness for Alzheimer’s disease. Tell us how you got involved with bridge and why you made the game your activity for The Longest Day. I got into bridge completely by accident. I had sold the company I owned and retired at 37. It was difficult being away from work and I realized that I needed a new challenge. A woman said to me, “You have all of this free time. Why don’t you learn to play bridge?” I replied: “Sign me up!” I got to my first lesson and within two weeks my friend and I realized that we could be great at this game. Before our first competitive event, we trained with a pro, like you would for a triathlon, because we were wacky enough and had enough time on our hands. Today, I’m the owner of a bridge club. When I was out in San Francisco and learned about the concept of bringing The Longest Day to life with a day of competitive bridge through the ACBL, I knew I could make it work – and I did! This is my 6th year raising funds and awareness for the Alzheimer’s Association through this event. Why do you think bridge is a great activity for The Longest Day? What are your plans for The Longest Day this year? We already play for about four hours on average, so asking people to play for a little bit longer isn’t a stretch. At tournaments, the average player would play for seven hours straight. For these players, it isn’t a big deal – they really love it. There was another draw, too. Bridge players play for masterpoint points, and the league said that it would give more points out on The Longest Day. To our players, it’s like being paid overtime! Everyone was on board. We are always looking to beat our numbers from the previous year and exceed our own expectations. We launch registration in the beginning of April with a commitment from 18 teams, four to seven people per team, ready to go. At this point, it’s a well-oiled machine. The initial model was set up as a fun event, and today people are so involved that it has become just another great day of playing their favorite game. What motivates you to raise funds and awareness for Alzheimer’s disease? My personal motivation is that my great-grandmother had Alzheimer’s; it was difficult to watch her experience the disease. Fast forward to years later and I realized as a fairly young bridge player that the older people in front of my eyes – those in the bridge community – were showing me ways to keep the brain active every day. These people try to stay healthy by constantly challenging themselves. Bridge is a sort of fountain of youth for this crowd. What is the day-of like? How do you put together a team? For this event, teams aren’t put together by skill but by will. We ask someone if they can play during a particular slot and then pass the baton to the next group, collectively raising at least $500. We also continually display how much everyone has raised, so it’s very competitive! No one wants to be last … everyone wants to be first. Everyone pushes each other up the ladder. I am super impressed with how many people are dedicated to playing the entire time. Six or seven people who have played for five years straight have played every minute from beginning to end – and then want to do it all again. I am exhausted by the end of the day – bridge is taxing on the brain – but it’s also so much fun. It’s about endurance, which you need to persevere when fighting or living with Alzheimer’s disease. We heard that you have a particularly exciting story about fundraising on The Longest Day. There was no way I would let this not happen. We were so close. People were pulling out their wallets, writing checks. I told people to stop playing and to call home. We asked people to donate $5, $25. When we got close, the woman said I could tell the group about the match. By the time we told everyone, we overdid it; we raised $8,000 more than we needed! We made that happen together. The bridge community is a super bright and involved community. I know people who are older than 100 who work to keep active mentally and physically. When our community flexes its abilities, it helps those living with Alzheimer’s. The funds and awareness raised through playing bridge does so much for so many people, and I am proud to be part of this community. About Silvana: Owner of the Sagamore Bridge Club, a TAP certified bridge instructor, a certified Bridge Director and an ACBL Life Master, Silvana is fighting to end Alzheimer’s on The Longest Day. Visit her page here. Actress Amy Aquino, currently starring as Lt. Grace Billets on the Amazon series “Bosch,” is known for equally tough-as-nails characters she has brought to life on “ER,” “Being Human” and “Felicity.” She recently spoke with us about her deep familial connection to Alzheimer’s disease and how the color purple has inspired her participation in the Alzheimer’s Association’s fundraising event, The Longest Day, which encourages participants to select an activity they love — or an activity loved by those affected — to help end Alzheimer’s. Amy, tell us about how Alzheimer’s disease has affected you and your family. Six of the 12 Aquino siblings developed Alzheimer’s or dementia. This disease has been a part of my life since my teens. My father had 11 siblings; half of those brothers and sisters developed Alzheimer’s or another dementia, including early-onset Alzheimer’s. The first relative I saw affected was my Aunt Rose. Rose started showing signs of the disease in her late 50s, but neither she nor her doctors could identify what was happening; this was the early 1970s, and there was very little awareness of the disease. She lived in Philadelphia and my dad and another sibling living in the suburbs started getting emergency calls that she was wandering around the city. The whole family was traumatized, trying to figure out what was wrong with her and experimenting with various “cures”, until it was finally determined that Rose – like her father before her – had Alzheimer’s disease. About 10 years later, one of my dad’s brothers was also diagnosed. Like Aunt Rose, Uncle Mike was brilliant, curious, vibrant and involved – all of Dad’s siblings were. Rose, my inspiration in gardening, lost her ability to garden, and Mike, an engineer, also lost his greatness to the disease. Four siblings followed. Aunt Florence was fiercely independent throughout her life, building a long career in New York as an actress and playwright. Though she lived alone and had no children, she lavished attention on her nieces and nephews, and mentored hundreds of at-risk kids. Despite her having seen Rose through the disease, when she herself was hit with it she didn’t recognize it. Seeing her lose her independence – and how furious she was about being moved into memory care – was so hard to watch. As I watched her and the others grapple with dementia – including my own dad, near the end of his life— I realized that I almost couldn’t recall a time when I wasn’t witnessing some form of this disease. That is why I am trying to spread awareness of what Alzheimer’s takes away from both the person with the disease and the people supporting him or her. You rocked your participation in The Longest Day last year. You were active on social media throughout the day, making blackberry jam with family and friends in honor of your dad and his siblings. Are you participating again this year? I am definitely participating this year! I saw the first blooms on my blackberry bramble outside my kitchen window in March and I’ve been dumping the recent rainwater all over them. Last year I initially panicked about what I could do – then it hit me: I have a freezer full of blackberries that need to be made into jam! Since I learned gardening from Dad and his siblings, it was a perfect tribute. AND they are PURPLE! Last year I mailed out dozens of jars of jam to people who donated, and I’m looking forward to what this year brings. I’m so excited about the Longest Day, I even came up with an idea I want to pitch to my neighbors, and anyone living in a warmer climate: LAVENDER. Not the color, but the plant. People all over Southern California are using lavender as an attractive and drought-tolerant landscape plant. In June it tends to be bursting with blooms that will eventually need to be cut back anyway. So what better way to raise awareness and reward donations than harvesting and sharing those beautiful, fragrant blossoms which, on top of it all, are Alzheimer’s purple! How did you recruit people to participate in The Longest Day, and what was the day like for you, your friends and family? Recruiting was as simple as sending out an email describing what I was going to be doing. My close friends and family have been aware of or have participated in jam making before, and were eager to show up and get purple. And I know that the promise of a thank-you jar of jam helped persuade a lot of people to contribute. I had five people helping make jam in the morning hours and three midday; my young grandnieces came up from Irvine with their mom later in the afternoon and we made jam until early evening. We capped the day off with a celebratory dinner, which was a fantastic way to end such a special day. The next day I found a lovely note about the day that my niece Alyssa had drawn and left for me — it became the perfect thank-you card for those who contributed. The Longest Day 2017 was truly one of the most memorable days of my life. It was a procession of wonderful friends who were genuinely so excited to come over and help the cause, and we all had a spectacular time. It felt very reassuring and uplifting to know how much this means to so many people. Not everyone I know is directly affected by Alzheimer’s disease, but they all completely understood how the folks around them were, and the love was palpable. Everyone wanted to be a part of it, and everyone loved getting their hands purple! 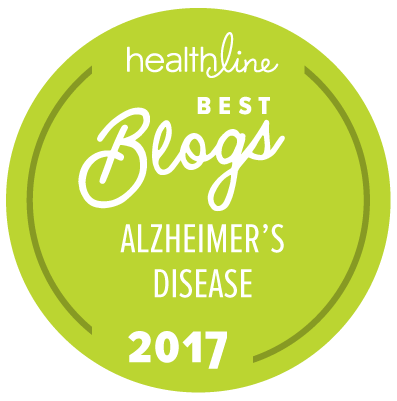 As someone who has seen this disease affect their family so much, what do you think someone should do if they suspect that someone they love has Alzheimer’s or dementia? If you’re worried that someone in your life is affected, then there is probably a good reason. The first thing someone should do is contact the Alzheimer’s Association by calling the 24/7 helpline, then read everything they can on alz.org. My best advice is to not be afraid, but also not to pretend as if it’s not happening. I think there can be a tendency, when you don’t know what’s going on, to get angry or frustrated with the behavior. You may say things like: “I just told you that,” “Why didn’t you show up?” and “Why do you keep losing your keys?” That, obviously, isn’t helpful. Once you receive a diagnosis, the Alzheimer’s Association will be your best resource for the next steps you need to take. Don’t put your head in the sand; don’t make assumptions. Addressing this disease directly and putting plans into place may help avoid something terrible from happening, like someone wandering outside of their home and getting lost. This disease is only going to get worse for my generation; if we all try and make a difference, I know we can change that together. You speak about these strong people in your life who were lost to Alzheimer’s, who were so smart and fierce. Is that how you feel about the characters you play, such as Grace Billets? She is like me and so many women I have known – layered, deeply complicated – successful at what she does but still capable of screwing up. No one is perfect. We are just human. The challenge of Alzheimer’s, for the person with the disease and their loved ones, is losing control of much of your life, but finding a way to continue living it. The drama of season four centers around this as well; I’m excited to see season four. My character is having to take command – temporarily – during a very dangerous and tumultuous time in her division. Meanwhile, Harry, who is still her subordinate as well as her old friend, is going through emotional turmoil makes him withdraw more than ever, and is pushing him toward a possibly disastrous mistake. With Alzheimer’s, so many things seem like they are unsurmountable – but if you call on all the resources available, in your community and in yourself, you can find a way through. So whether it’s jam-making, a family day at the beach or a marathon, everyone can do their part to help end Alzheimer’s on The Longest Day. Just make sure to wear your purple – even if it’s on your hands! About Amy: Born in New Jersey and raised in Philadelphia, veteran actress Amy Aquino currently stars in the Amazon hit series, “Bosch.” The series returned for its fourth season in April 2018, and has already been renewed for a fifth. Graduating with a B.A. in Biology from Harvard University, she went on to earn her MFA at the Yale School of Drama. Aquino then split her acting career between New York and L.A., doing TV, film and theater. Aquino lives in a 1915 Pagoda-style bungalow in Hollywood, which she and her husband, financial advisor Drew McCoy, restored and had landmarked. She is active in L.A.’s historical preservation movement, helping establish historical preservation status for her Sunset Square neighborhood, and being appointed by the mayor to its Historical Preservation Overlay Zone Board. She’s also a director of Arts for LA. Lead singer Patrick Miranda of the alternative rock band Movements is familiar with Alzheimer’s disease in more ways than one. As a child, he saw the disease in his own family. More recently, he has seen how the disease has impacted the family of his girlfriend. We sat down to talk with Patrick about how his experiences and the lack of conversation about Alzheimer’s and dementia in the music community led him to write “Deadly Dull,” a song that tells the story of a couple – a wife who died of Alzheimer’s and her husband, still living with the disease. What’s it like to be erased every time you fall asleep? Waking up as a clean slate without a sense of reality? And will I end up the same way when I grow old and turn to grey? Tell us more about your connection to Alzheimer’s disease and how the Movements song “Deadly Dull” relates to your experiences. I was about eight years old when my grandmother passed from complications of Alzheimer’s disease. Although I don’t have a clear memory of everything that happened, I do remember going to see her at her nursing home. She would consistently ask my dad, “Where’s Ruben?” “I am right here, Mom,” he would say. Ruben is my dad’s name. I don’t think the reality of the situation really hit me as hard as it would have if I had understood more about it at the time, or if I had been a bit older. I didn’t have another direct experience with the disease until I met my girlfriend’s grandparents a few years ago. At that time, my girlfriend Alexis and I were in a long-distance relationship for about three months – she would come see me on tour, we would meet up where and when we could – and I was going to meet her family for the first time in Florida. The day I arrived, Alexis said, “I hate to do this, but there is somewhere we need to go.” Her beloved grandmother was on her deathbed. Both Alexis’s grandmother and grandfather had Alzheimer’s, and when her grandmother passed, the whole family and I were there with her. It was really heavy. I had never experienced anything like that before; I never saw someone die in front of me. It was even more heart-wrenching because Alexis’s grandfather didn’t know what was going on. He couldn’t understand why Alexis’s grandmother, his wife of more than 50 years, wouldn’t wake up. As soon as we left the hospice facility, he was asking about her again, because he had already forgotten everything that had happened that day. For months, he had to learn that his wife had died, over and over again, day after day. It was crushing. Our song and video “Deadly Dull” is about that experience. That hit me really hard, and I wanted to talk about it in order to help myself and to raise awareness. Alzheimer’s isn’t really talked about much in the music scene, and I wanted to open up that conversation. Have you spoken to any of your fans about their own connections to Alzheimer’s, and the message of the song? I have had more people come up to me who can relate to “Deadly Dull” than any song I’ve written in my life! It could be two or three people per show or sometimes lines of 20 to 30 people who want to talk about their connection to Alzheimer’s. It’s amazing and scary to see how so many people know what it’s like to go through the realities of this disease. The reaction that fans have has been so important to me. They thank me for writing about the disease, and they really appreciate that we are addressing the topic and being open about it. I often have people tell me that one of my songs got them through a difficult time, but this song in particular is sticking with people. The truth is that this is one of the most important messages we’ve put into a song. Beyond the younger generation, which makes up much of our fan base, I’ve had parents who have brought their kids to our concerts and thank me for “Deadly Dull” because of their own experiences with the disease. The message of the song transcends the barriers of age, because, sadly, so many generations know what it’s like to have family member with dementia. I don’t think Movements has another song that quite does that. What do you want fans that haven’t experienced Alzheimer’s directly to know about this disease? A lot of people don’t understand the depth of the disease. I’ve encountered so many people who still seem to think that it’s a disease that just makes you forgetful – minor things like misplacing one’s keys. There are also people who seem to accept it for what it is and figure that there is no cure, so “Oh, well,” there is nothing we can do. Our band hopes that instead of turning away from the disease, people will raise funds towards research. I want people to understand that Alzheimer’s is more than the misconceptions. My own hope is that we will one day find a cure or effective treatment. It’s very possible that any one of us can lose every sense of the person we are to this disease. We are all susceptible to becoming a shell of the person we used to be, all of our collective years of memories of love … gone. It’s a scary thought, but we can do something about it. Has this experience – writing and performing the song, making the video, heading out on tour – been cathartic for you? This whole ride has been a healing process for me. When I write music dealing with heavy topics, which typically focus on my own anxiety and depression, writing a song helps let it go. I hate talking about my feelings, and I sometimes bottle everything up until I want to explode. Being able to put all of those negative or sad emotions into a song is a type of therapy for me. I have the power to help myself get through those rough times I am going through. Growing up, sad music that focused on the heavier topics of life actually ended up making me happier than happy music. There is solidarity with artists who write this kind of music, and although not every story has a happy ending, my music helps me communicate with people who also have a hard time talking about these topics. There is nothing more therapeutic than knowing you are not alone. When I look my at my life and all the amazing things I’ve been able to experience with my music and all the connections that I’ve made with people, it’s hard to think about a day when I may not be able to remember all of that. It really hurts. I want people to understand the complexities of Alzheimer’s disease and that anyone can join the fight just by educating themselves about the disease. Our band knows that it’s more important than ever to spread awareness in the community, any way we can. About: Movements embarks on their Feel Something tour in March and will be touring the U.S. and the U.K. through the month of May. Select shows will have materials available about The Longest Day, the Alzheimer’s Association summer solstice event that allows participants to select any activity they love — or an activity loved by those affected — to help end Alzheimer’s. Actress Lois Smith’s face is one film buffs instantly recognize. Whether it’s a standout performance in a television series (“The Americans,” “True Blood”) or a memorable turn in a major motion picture (“Minority Report,” “Twister,” “East of Eden”), hers is a talent that has endured over six decades. But one wouldn’t guess that Smith recently celebrated her 87th birthday, or that she would post her first tweet that same day. She keeps people on their toes, radiating an energy more associated with someone half her age. When the Alzheimer’s Association sat down to speak with her about her performance and experience filming “Marjorie Prime,” she had been to several cities in one week and was on her way to Philadelphia to enjoy the holidays with her daughter. Set approximately 30 years in the future, “Marjorie Prime” is about a woman, Marjorie, (Smith) who uses a service that provides holographic recreations (or “primes”) of deceased loved ones. In this case, it is a younger version of Marjorie’s husband Walter (played by Jon Hamm, in his own prime) who helps her rewrite memories while she is experiencing symptoms of dementia. Lovely to look at and always attempting to learn more about Marjorie and Walter’s lives together, this technological companion still can’t quite live up to the real Walter, even though Marjorie contemplates the fact that he might remember more of her life than she does. The film — which touches on topics from grief and loss to the power of memory — is based on the 2014 Pulitzer Prize-nominated play of the same name. Smith starred in both the Los Angeles and New York stage productions of the piece. Please note that there are film spoilers in this blog post. One element that is so touching about the film is that although it is set in the future and has sci-fi elements to it, it’s also a study of times gone by, and how people grapple with grief in different ways. What drew you to the play originally? This story is a story about humanity. I feel like the film is sadder than the play given the difference in tonality between the play’s director (Jordan Harrison) and Michael Almereyda, the director of the film. The film has Michael’s name stamped on it; in some ways I think it’s more languid and less humorous than the theater piece was. This shift in the mood and changes to the script made the process enormously interesting — and challenging. There is a scene early in the film where Marjorie asks Walter to rewrite a “scene” from their life: the night he proposed. That evening, they were watching the Julia Roberts comedy vehicle “My Best Friend’s Wedding,” but Marjorie reimagines that they watched the film classic “Casablanca” instead. What kind of comfort does Marjorie get from that moment? Marjorie receives great pleasure from reimagining her own memories. It gives her a true sense of power over her situation. Think of that power — you can decide what you’d like a moment to be like, instead of what it really was. Imagine the possibilities. With help from the prime, she can do that. What scene in the film was the most interesting to play? Marjorie is a person who gets a great deal of enjoyment out of life; she’s quite flirtatious, even with her doctor, as her daughter wryly points out. I really liked playing with those qualities of hers. I really love the scene with Marjorie Prime and her daughter Tess. (Marjorie Prime is the hologram Marjorie that Tess, portrayed by Geena Davis, engages with later in the film.) That scene was so central, so key to the film. It was of great interest to me, playing with the dynamic of that not-quite mother-daughter relationship and its learning curve. It was a delight working out how the characters find their way through it. Marjorie Prime is — in a certain way — programmed to be the true Marjorie. But there are other elements she has about her that the true Marjorie did not have, like increased empathy. That empathy was a quality that Tess needed so much in those moments when she was struggling with the reality of losing Marjorie. That scene was truly great fun to play. In the film, Marjorie is a former violinist, forced to give up her passion due to arthritis. Was the connection between music and memory in the play strong as well? Michael Almereyda was very keen in making a contribution to the film’s story in that way. There was certainly much more music in the film than the play. There is a vast difference between Marjorie, who is having issues with her memory and being combative with her daughter, and the digital Marjorie Prime who is so eager and in the moment. How did you approach playing Marjorie Prime, and what characteristics defined the prime for you? Their demeanors are so different; the primes are so ready to learn and to please. When we began the first production of the play, it was clear that the author intended the additional empathy from the primes. Real people have lives that are full of conflict, especially between family members. The primes don’t come from this place of conflict. Their purpose is one of helpfulness; to be of help to the person they are paired with is of utmost importance. On the other hand, the primes need to hone the characteristics of the person they are supposed to be, and still have to come forth as a convincing version of the person. It is a double collection of traits and behaviors filtered through a sense of generosity. The main thing about the primes is that they find that learning curve so interesting, and you see them stumble and make mistakes along the way in their portrayals. As we talked about, this film focuses on the concept of memory — the good, the bad, the ones we may not remember quite the way they were. What do you think of the connection viewers and critics are making between the film and dementia? When someone first brought up the connection between Alzheimer’s disease and the film, I didn’t see it as the subject of the movie, and it certainly isn’t. It does seem obvious, of course, that the connection would be made, as this topic is of such importance and of a lot of interest to people, whether they are curious about the disease, caregivers for someone with Alzheimer’s or dementia, or in the early stages of Alzheimer’s themselves. For Marjorie, the things she has trouble remembering are not necessarily a central aspect of her life. In a certain sense, the film and her experience are more about memories lost and found, and not a clinical study in memory. But the connection is there, and the conversation is one that I’ve been enlightened about. Memories serve such an important role in our lives, and performing a piece like this is so rewarding. What was it like for you to work on this film after performing in the play in both Los Angeles and New York city? What has the awards buzz surrounding your film performance been like for you? This was a low-budget film that blossomed from a stellar play. The chance to make a film and continue in this role is something I am so grateful to have had happened, especially having another lovely cast come together — Geena Davis, Jon Hamm, Tim Robbins, to name a few. I didn’t even turn my mind to the thought of winning awards, as I didn’t see this as any sort of traditional “Hollywood” project. I’m just happy that the film’s momentum has been strong and seems to be building towards the idea of it being award-worthy. To be honored is certainly lovely. I recently received a lifetime achievement award, which I admit was slightly off-putting — apparently I’m a very old person! I am really just so lucky. Wisdom tells us that you will have fewer roles as you age, and less good parts, but that hasn’t been the case for me. I have just been so very fortunate. “Marjorie Prime” opened theatrically in select cities in August and is currently available on most video-on-demand platforms. We are at a crossroads. Should we give Mom anti-psychotic medication to combat her hostility and irrational behavior (i.e., hallucinations, delusions, aggression, agitation), thereby knowingly accepting possible side effects of these drugs? Or should we continue to shepherd Mom through her heartbreaking performances and embrace her anger? Mom is regressing into a world of incoherence and fantasy. She experiences what my dad calls psychotic episodes between periods of greater clarity with lack of cognition and total memory loss. The use of anti-psychotic drugs must be considered with extreme caution. No drugs are specifically approved by the U.S. Food and Drug Administration to treat behavioral and psychiatric dementia symptoms in people with Alzheimer’s, though “off-label” use, where a doctor prescribes a drug for a different purpose than the one for which it is approved, is an accepted practice. How much is too much agitation? What defines a hallucination? Are there other alternatives? What are the risks involved? Is Mom a danger to herself or us? Who are the drugs really for—her or us? We know from past experience that even a very low dose of one of the recommended drugs slows Mom’s gait, makes her sleepy and her speech more incoherent. But she is also more compliant and generally happy. My dad is the one who spends all day every day with Mom. He has little time for himself, and he is often in conflict with Mom over her behavior. I had a renewed sense of his experience when he was out of the house for the whole day, and I was the key caregiver. Several times during the day, Mom told me she had to leave. She walked to the back of the house and went from one room to the other. In Daddy’s studio, she went into the corner and dramatically pressed along the wall as if looking for a secret passageway. Back in the hall, she fumbled with the sliding door, trying to figure out how to open it. Then she went into the study, stood by the desk examining what was on it, opened the file drawer, and rummaged through it. I walked with her on several of her circuits, surprised at one point to find a folded manila folder under her skirt. The first time it happened, it was only 8 a.m., too early to head to the local mall. I took the advice of our Filipina caregiver Sahli and let Mom struggle on her own. If we didn’t talk to her, she seemed less angry. But I was heartbroken to watch her actions knowing I could not help her or calm her in any way. When it was late enough to walk out, Mom hesitated. She told me she needed to stay where she was to find the way home. When I showed her the door at the other end of the apartment, she reluctantly followed me out. We had a great time walking and talking, drinking coffee, window shopping, visiting rabbits in the pet shop and commenting on the people around us. On our walk home, Mom continued to radiate happiness. We stopped at my house and ended up making doughnuts for Chanukah. We listened to Benny Goodman, sat in the sunshine, swung our legs on the bed and laughed about everything. Mom cooed over the cat. Then she lovingly pet my stuffed moose, asking me at one point if it had trouble breathing. At about noon, we went back to Mom’s house. “This isn’t my house,” she said when we went inside. And so began Mom’s second round of “going home.” She refused to eat lunch. She refused to take her nap. We checked up on her occasionally, but our idea was that she’d eventually tire and want to sleep. At 1:00, I asked if she’d like to come back to my house to bake the doughnuts (they had to rise for an hour). Nope. Mom expressed an urgency to stay where she was. I left her with Sahli and popped home. I was back by 1:30. I took Mom into her bedroom thinking I could convince her to nap by lying down with her. Ha ha. Mom examined everything in the room. She sat at the edge of the bed and made her skirt into a kind of pocket so that she could put things she’d gathered in it. Of course, the minute she stood up they all fell out. So she took off her skirt. She found a sweater and put it on over her other two layers. She took it off, put her skirt back on, then put on one of Daddy’s sweaters. She placed things under her pillow, including her purse, some tissues, a file from the computer room and Daddy’s sweatpants. All the while she kept up a running commentary on everything that she was doing. Most of it involved saying goodbye to me and kissing the top of my head because she was apparently heading off into the wild unknown. Two hours later, we left her room. Sahli finally got her to sit down, and then miraculously, her mood changed. She ate lunch, had a cup of tea, talked and giggled, and somehow seemed to gain a modicum of normality. By then, thankfully, it was time to pick Daddy up at the train station. What a greeting Daddy received. Here was Mom’s sun returned to her. “I bet you’re glad I’m home,” he quipped. As to the drugs, it is not my decision to make. But I guess you know how I feel. I don’t want to lose any part of Mom that can interact with us with joy and laughter. I realize that this opinion may come at a steep price. Chanukah, oh Chanukah. Doughnuts are the least interesting part of Chanukah historically, but they are synonymous with the modern-day holiday. The trick is to eat doughnuts without gaining a million pounds. Here’s a sensible recipe that I made especially for my dad. I made these doughnuts specifically for my dad—no milk, no fried dough. He deserves a special treat. They came out reasonably well; they give the illusion of eating a doughnut. The less you knead the dough, the spongier the doughnuts turn out. Proof yeast in a small bowl by adding yeast, sugar and warm soy milk. Let react for 15 minutes. Add eggs and vanilla. Sift in flour and salt. Knead till dough forms. Let rise for two hours in a warm area. Refrigerate dough overnight, or up to two days. Remove from fridge and shape as follows: Without kneading the dough, make fist-sized balls and place on a baking tray covered in baking paper. Use a small, round cookie cutter or other item to make the doughnut holes. When all the doughnuts are made, cover with a towel and let rise for up to an hour in a warm area. Brush tops with egg and bake at 375° for 15 minutes. Meanwhile, in a separate bowl, mix icing ingredients. Dip warm doughnuts in icing then let cool. Microwave for 15 seconds just before eating.